To meet their growing business needs, 4Sight was engaged to provide planning advice and assist Thornton Auctions with obtaining resource consent and a liquor license for their new premises in a light industrial in Mount Wellington. 4Sight were able to successfully secure a non-complying resource consent on a non-notified basis and obtain a liquor license for a new auction house for Thornton Auctions in a light industrial area in Mount Wellington. Due to the sales nature of auctions, auction houses are considered as retail activities which are generally discouraged in industrial zones as they are primarily for activities such as manufacturing and distribution. Despite this, 4Sight recognised the unique nature and needs of auction houses that sets them apart from your typical ‘retail activities' and which makes them well-suited to commercial and light industrial areas. 4Sight managed the consenting process, provided strong justification, and overcame obstacles to delivery of consent decisions for their client. 4Sight understands the importance of obtaining quick and reliable planning advice to help the client meet their needs and inform decision making in today’s tough market. 4Sight’s planners have the experience to navigate site and district plan complexities and are able to draw upon the knowledge of the wider 4Sight team (including ecology, contaminated land, wastewater, urban and landscape design) to ensure quick turnaround of comprehensive advice for their clients. Identification of development opportunities, constraints and risk factors for a range of projects. Providing clients with timely and sound advice to assist in property acquisition and project feasibility. 4Sight understands the importance of obtaining quick and reliable planning advice to help inform decision making in today’s tough market. 4Sight obtained resource consent for this 20 storey apartment building and associated laneway development in Wellington. 4Sight’s planners have a strong track record in providing advice on land and building development projects. All development projects have elements of risk; and for many that includes whether resource consent can be granted. Our expertise is in helping to de-risk or at least thoroughly understand that aspect of the project. We do that through identifying consent issues and ways to resolve them, plus ensuring that the application process runs smoothly. For this project, the effects of the building’s height meant that it faced challenges in terms of both effects and the district plan rules. We dealt with this by setting out to thoroughly understand the site, the neighbourhood, all relevant planning documents, and likely effects – and using that understanding to help craft our planning assessment. In particular, we were able to convince the council that the characteristics of the site, neighbourhood and building meant that the application should be non-notified. Our job was greatly assisted by Archaus Architects’ design which was ultimately judged to meet the council’s requirement for ‘design excellence’. Design excellence comes into play if a central area building exceeds the permitted height threshold. The concepts of quality design and design excellence are woven into a detailed policy context which includes the need for assessment against the central area design guide. Obtaining an encroachment licence for those parts of the building that extend into the airspace above legal road. Construction of the project began in mid-2017. We are keen to see the final outcome as it includes a new laneway – linking Dixon Street with Feltex Lane to the rear of the site. Ground floor commercial spaces will open onto the laneway, as will the building’s three entry lobbies to the apartments above. This promises to be a dynamic new space contributing to Wellington’s lively and liveable downtown environment. 4Sight’s planners have a strong track record in providing advice on land and building development projects. All development projects have elements of risk; and for many that includes whether resource consent can be granted. 4Sight was engaged by Whitehorse Property in 2016 to provide environmental due diligence advice in relation to a potential property acquisition. The EDD process was used to facilitate the land purchase, and further investigation of soil and groundwater was undertaken to support the resource consent process. A thorough understanding environmental risk, and presentation of this risk in a commercial context, is critical to an effective environmental diligence process. 4Sight was able to mobilise at short notice, understand the key environmental risks, and deliver this information to the client in a manner which facilitated their property transaction. 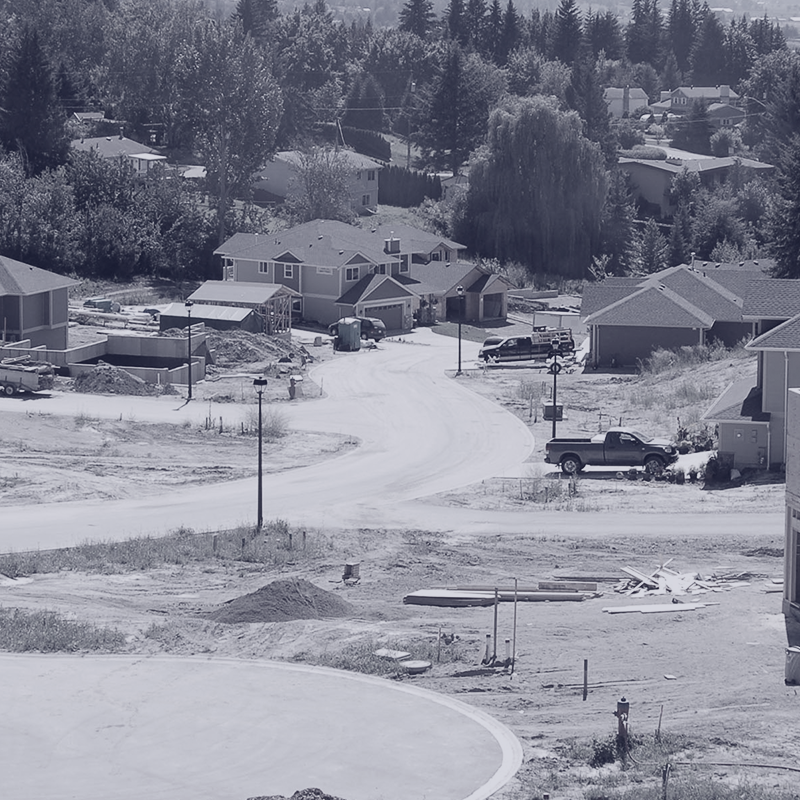 4Sight was then able to use this information to design an intrusive site investigation to adequately identify potential contaminants in soil and groundwater, delineate the extent of contamination, and facilitate obtaining a resource consent for development. To date 4Sight has providing timely advice to the client in both acquisition of the property and obtaining resource consent for development of the site. This has included using our knowledge of the local regulatory framework to prepare work scope that satisfied both the client and the regulatory authorities. 4Sight was engaged by Sime Darby Motors to provide planning due diligence and advice, and subsequently prepared a resource consent for a new Ferrari Car sales showroom in Newmarket, Auckland. 4Sight’s planning team were involved early in the process. The site’s location meant effects such as streetscape appearance and amenity, traffic and parking were key for consideration. Clear communication with the project architect and client ensured smooth processing through Auckland Council and obtaining resource consent. Working with the client and Sydney based architects Figgis + Jefferson Tepa, 4Sight prepared resource consent documentation to convert an existing building and carry out alterations to accommodate a new Ferrari car sales showroom along Manukau Road. The site was located in a key and prominent location on the corner of Manukau Road and Great South Road. Building a professional and collaborative relationship with the project team and client to obtain resource consent in a timely manner. 4Sight was engaged by Sime Darby Motors to provide planning due diligence and advice, and subsequently prepared a resource consent for a new Ferrari Car sales and showroom in Newmarket, Auckland. 4Sight have assisted Les Mills with planning services and specialist technical input over the years to assist them in meeting their business vision. A proactive and solution focused approach was adopted in all projects, with most of the projects involving various planning issues (from archaeology and parking through to urban design and acoustics) and a wide range of technical input. The lead planners in each project coordinating all inputs, while managing timeframes and client expectations. The projects where discussed with consenting authorities early on in the process to ensure a comprehensive application package was made addressing all the relevant issues. 4Sight have assisted Les Mills in preparing and securing resource consents for fitness centre facilities in a number of locations across New Zealand, along with submissions on Proposed District Plans and potential new fitness centre sites. 4Sight has been involved in obtaining resource consent for the new fitness centre facilities in Newmarket (Auckland), and Hamilton. Most recently, 4Sight has been successful in securing resource consent for the redevelopment of the ‘flagship’ Victoria Street facility, which involves the construction of a new 5 storey building, upgrading of the existing buildings and services and associated regional consents. 4Sight’s work has included the initial scoping/feasibility of new and redeveloped sites, preparation of Assessments of Environmental Effects, and liaising with Council staff and the Les Mills project teams on further information requests and draft consent conditions. We have also assisted Les Mills with submissions to the Auckland Proposed Unitary Plan and the presentation of associated evidence to the independent hearings panel. The preparation and delivery of multiple resource consents across the country within scope, budget and timeframes. 4Sight’s involvement in multiple applications has resulted in a comprehensive understanding of key issues associated with the fitness centre facilities/sites and a strong and ongoing relationship with Les Mills. 4Sight took a collaborative approach with the project team to achieve the design intention for the treehouse, handling specific issues raised during the consenting process. Some of these issues included traffic management, intensity and scale of use, noise and other potential effects on adjacent rural sites. 4Sight also addressed district and regional planning requirements, to ensure the project adhered to these and non-notified consent was achieved. As part of an innovative advertisement campaign, Yellow Pages constructed a unique temporary venue to be operated as a restaurant, halfway up a Redwood tree in rural Auckland. 4Sight provided essential specialist and planning services to inform the design and facilitate the resource consent process. This enabled the achievement of a hugely successful advertising campaign, and a unique venue for private hire that has won numeous awards and featured in more than 2000 blogs and publications worldwide. 4Sight helps Accessible Properties meet the needs of property owners and tenants in the social housing sector. Accessible Properties often require advice within a short timeframe. 4Sight is able to respond promptly under pressure and inside constrained timeframes on a constant basis. Accessible Properties appreciates the ability to be able pick up the phone and contact 4Sight to ask for help as and when it is needed. Accessible Properties are New Zealand’s largest non-government social housing provider. As are experts in social housing, they manage properties to meet the needs of property owners and tenants in the social housing sector. 4Sight has assisted me with a number of IHC housing projects throughout New Zealand. They have always provided us with a timely response when we have needed it, this has often meant providing planning input to projects where time constraints have meant that the advice and services are required at short notice. I really appreciate the speedy help and professional approach that we always get. Laurence has been able to communicate with various Councils on our behalf as he has taken the time to understand our business and property needs particularly with establishing additional dwellings. IHC New Zealand is an organisation providing support and care for people of all ages with intellectual disabilities and Accessible Properties manages 1100 IHC properties. Providing ongoing advice on planning matters related to their properties in locations throughout the lower North Island. Providing planning services for the acquisition of resource consents for housing units (relocated buildings, new-builds or building conversions) to facilitate the supply of housing in areas where the demand is the greatest at that time. 4Sight has enabled Accessible Properties to quickly get the information it needs to move projects ahead and provide a better service to owners and tenants. This collaborative approach has also been beneficial to IHC, who can rely on Accessible Properties and 4Sight to manage their building assets. This, in turn, helps IHC achieve their role of providing advocacy support wherever there is a need, and to stand up for the rights of one or all people with intellectual disabilities in New Zealand. 4Sight helps Transpower and its contractors with soil assessment and disposal options, saving them time and money. Working with contractors and disposal facilities to find least-cost options for soil management. When 4Sight worked with the client on their Paraparaumu substation project, we provided a holistic contaminated land service centred around the goal of saving the client money by demonstrating that the majority of the site's soil could, in fact, be classified as cleanfill material. The nature of the project meant that we had to adopt a reactive, collaborative approach. 4Sight were often asked to provide on-call soil assessment services in advance of substation upgrade or construction operations, and we worked closely with the contractors and disposal facilities to manage soil as cost-effectively as possible. At the Paraparaumu substation, 4Sight helped the client save over $500,000 by helping to identify and segregate cleanfill from impacted soils, which meant that the majority of the material could be shipped offsite as cleanfill material. At other sites, we have helped Transpower avoid practices that could result in large areas of land being classified as potentially contaminated areas, thus costing them large amounts of money. The impressive results we've achieved for Transpower can be attributed to our thorough understanding of consenting and disposal requirements, and our strong working relationships with the contractors and disposal facilities. Saving Time and Money by Helping to Segregate Clean and Contaminated Soil. Soil Assessment and Disposal. 4Sight helps Transpower and its contractors with soil assessment and disposal options, saving them time and money. As part of Transpower's Benmore and Haywards Pole 1 Deconstruction Project, 4Sight was engaged to assist where historic operations had resulted in mercury contamination within the building. There was asbestos-containing material (ACM) present, and in some areas the ACM was also contaminated with mercury. 4Sight’s innovative protocol meant asbestos and mercury removal in a manner that provided for worker health and safety and environmental protection. It also allowed crushed concrete from the deconstruction project to be used as backfill material, which avoided disposal costs and a reduced carbon footprint. 4Sight was engaged to help with the deconstruction of the Pole 1 buildings at the Benmore and Haywards substations, where historic operations had resulted in mercury contamination within the building. There was asbestos-containing material (ACM) present, and in some areas the ACM was also contaminated with mercury. Transpower wanted to deconstruct the Pole 1 building and use the concrete from the process as fill material in the Pole 1 building's basement; however, this couldn't proceed until the asbestos and mercury were removed and the client obtained consent. Drawing on our experience with national, regional, and district requirements, as well as international experience in ACM and mercury removal, we helped Transpower evaluate the human health and ecological risks and costs associated with various deconstruction, building reuse, and debris disposal scenarios for the project. We also helped the client reduce their potential liability by providing rigorous systems to document processes and maintain transparency in remediation activities. Provided recommendations for appropriate monitoring strategies to ensure environmental protection, including recommending guideline levels for surface water and sediment monitoring. 4Sight’s innovative protocol meant the removal contractor did not require containment for asbestos removal. By using our international contacts, we identified products that allow the safe removal of asbestos-containing tiles and adhesive without containment being required and with no airborne release of asbestos. The protocol was approved by Environment Canterbury and WorkSafe NZ. This innovation has resulted in a cost savings of over $100,000 at Benmore alone. Consent was granted with guideline values for environmental protection, and the monitoring programme as presented in the application was approved. Being able to reuse deconstruction materials on-site will save Transpower tens of thousands of dollars, with the alternative being off-site disposal. As part of Transpower's Benmore and Haywards Pole 1 Deconstruction Project, 4Sight was engaged to assist where historic operations had resulted in mercury contamination within the building. 2degrees officially launched its mobile service in 2009 but the team at 4Sight have been working with the company since 2005, successfully managing the programme delivery of the resource consent process for the company’s national network rollout. Undertaking site-specific investigations to meet the requirements of the NES. Our longstanding and ongoing relationship with 2degrees demonstrates 4Sight’s ability to successfully deliver large, complex telecommunications projects on time, within scope and budget. It also shows our commitment to achieving high quality outcomes for all stakeholders. Managing the coordination and delivery of the necessary consents, often in short timeframes, required a collaborative and flexible approach. Our planners worked within the 2degrees project teams which were divided into areas of the country, each with their own 2degrees Project Manager. The scale of the network build demanded a range of scalable planning skills, which 4Sight was able to deliver in an integrated manner to satisfy the client’s daily, monthly and annual milestones. On a programme of this nature and scale, hurdles will inevitably arise. The planning team's extensive knowledge and experience dealing with contentious sites made them excellent ‘problem solvers’, enabling the team to overcome obstacles and devise solutions that meet the needs of the client, community and council. 2degrees officially launched its mobile service in 2009 but the team at 4Sight have been working with the company's National Cellular Network rollout since 2001. 4Sight provided community and stakeholder engagement/consultation along with planning and specialist coastal ecological services to help develop a new marina in a challenging environment. Obtained council approval for the construction ecological and water quality monitoring programme and oversaw its implementation. 4Sight are the trusted planning and environmental consultancy for a number of clients across New Zealand on a wide range of coastal development projects including ports, ferry landings, marinas, wharves and reclamations. This experience has given us deep insight into the inner-workings of local government – in particular how to navigate their clients through complex RMA and related environmental matters. We have a thorough understanding of the types of consents required for coastal projects and the different ways to ensure they're obtained quickly and cost-effectively. Our Principal Planner, Max Dunn, has successfully consented more than 8 marina developments himself, and has also acted as an independent hearing commissioner of the Onehunga Foreshore reclamation in Auckland. Our Principal Ecologist Mark Poynter has been involved in eight marina developments. 4Sight has successfully guided the marina society through a difficult resource consent process and have successfully achieved their desired result. We advised the society on the costs for each phase of the project, and were able to work within agreed budgets for each of them. We also helped to identify design changes and consent conditions as part of our role in the project, which saved the society time and money. Moving forward, 4Sight is still playing an active role in consent condition implementation, which shows our ability to assists clients far beyond the resource consent acquisition phase – right through to project completion and operation. 4Sight was engaged to provide ecological and planning services to help the client carry out a 16 lot residential subdivision in an ecologically sensitive area. 4Sight worked with the project's stakeholders to ensure development would lead to a positive environmental outcome. To achieve this aim, we collaborated with project engineers to incorporate environmental mitigation strategies into the design process. It was crucial to keep the site's anticipated effects and outcomes closely aligned with council expectations, so we made sure to keep an open line of communication with the council's project ecologist for the entirety of the project. We provided advice on stormwater outfall placement to help minimise any adverse effects on native vegetation within the Significant Ecological Area (SEA), and we remained in constant contact with the client to ensure the project's consenting requirements could be met without delaying the development timetable. prepared a covenant management plan. Thanks to our support, the client was able to successfully carry out a residential subdivision in close proximity to a Significant Ecological Area (SEA). Our input ensured that the subdivision's design provided long-term ecological benefits for the SEA whilst also making them an attractive feature of the subdivision. 4Sight provides cost-effective and time-efficient investigations of potentially contaminated land to satisfy consenting requirements for property developers. We carry out all of our investigations in accordance with the Ministry for the Environment's Contaminated Land Management Guidelines and meet the requirements of the National Environmental Standard for Assessing and Managing Contaminants in Soil to Protect Human Health. We review historic and council records, conduct site inspections and reconstruct site histories to evaluate their potential risks. In the interest of saving the client time and money, we also sometimes conduct limited sampling during our preliminary investigation. After analysing our results from the preliminary investigation, we determine if the potential risk will allow the proposed activity to be consented. We then normally negotiate with councils to allow additional investigations to take place alongside any planned earthworks, thus saving the client additional costs. Thanks to our in-depth understanding of the regulatory requirements, and our innovative investigative approaches such as composite sampling and field screening for heavy metals, we've been able to save clients time and money and have helped to assure a fast and smooth consenting process. 4Sight was engaged by the Canal family to provide planning advice and obtain resource consent for the construction of a new dwelling within the Auckland residential 1 heritage zone. The idea behind residential 1 heritage zone is to preserve the historic character of the early established neighbourhoods by discouraging development that doesn't fit well with the zone's character. Instead, it encourages renovations and new works to reflect the historic form and pattern of buildings and streetscape. Upon seeing the client's architectural concept for their to-be new dwelling, it was immediately apparent to us that it would face heavy opposition from Auckland Council. The design consisted of several modular boxes constructed with concrete and steel, and the upper level being connected by a translucent atrium gateway. Rather than being a recessive nod to its heritage setting, the building would be an eye-catching architectural feature in its own right. The application was processed with supporting reports from staff and was considered by an independent commissioner who was initially unwilling to make a decision because of the difficulty of making the building's appearance fit with the heritage neighbourhood. The commissioner then decided that the application would be best determined at a hearing so the proposal could be presented and discussed by all parties. 4Sight managed the client's hearing preparation, reviewed the supporting evidence and presented the planning evidence. As a result, resource consent was duly granted and the new home has been built. The main issue of heritage assessment and interpretation was circumvented by arranging pre-lodgement meetings with several key council staff. Matters of concern were identified in the meeting, and we then helped the client reach a compromise by tweaking the concept to better reference some of the area's historic features without substantive changes to the building design needing to be made. By doing so we were able to mitigate the main consenting risk and come up with a design that was both in line with the client's vision and supported by the council's heritage architect prior to lodgement. We then held onsite consultation meetings with council parks staff and helped the client obtain written approval for boundary infringements, trees and dependent works located within the adjacent reserve. At our advice, the client also obtained written approval of directly adjacent neighbours. 4Sight helped Automotive Holdings Group assess the resource consenting constraints for the redevelopment of their industrial site in late 2010, and in 2011 helped them gain consent for their Ford & Mazda showroom redevelopment. Automotive Holdings Group engaged 4Sight in 2010 to assess the resource consenting constraints for their industrial site's redevelopment. Our involvement in the project saw us assessing a potential contamination at the site and helping the client gain consent to redevelop the western section so that they could build a new Mazda showroom. We were then subsequently engaged in 2011 to help the client gain consent for the redevelopment of their Ford showroom, situated in the eastern section of the site, and to carry out a contaminated site management plan and construction management plan. The site redevelopments required a number of parking spaces, and the parking shortfall was a significant hurdle in the resource consent process. To overcome this challenge, we had to obtain input from traffic experts and also carefully manage the client’s expectations. In the end an outcome was reached that alleviated the proposals' impact on parking in the area. Our ongoing relationship with the client, along with the successful outcomes we've achieved so far, demonstrate our ability to work with other consultants as “one whole team” and also to carefully balance client expectations, regulatory realities and environmental concerns. Managing the resource consenting process to ensure quick delivery of consent decisions. — Roger Langley, vanVeenendaal Rosnell Langley, Architecture Ltd.
4Sight's had a long and ongoing involvement with commercial port operations both at Port Whangarei and also Marsden Point, acting as an advisor on planning and environmental matters to Marsden Maritime Holdings. Establishing an online compliance management system (CS-VUE) to assist the Port with the day-to-management of resource consent compliance. We take a pragmatic approach to dealing with port-related environmental requirements. We appreciate the fact that there's often a gap between public perception of environmental effect and the reality of the effects for areas of high ecological value such as Marsden Point. Understanding the importance of getting everyone on board, we've also taken great care to present information and engage with interested parties in a way that is technically sound but also easily understood by a wider audience. By working with Northport staff over such a long period of time, we've been able to develop a deep expertise in the area, allowing us to provide high-value advice efficiently. The services we've provided to Northport over the years have given their management team the confidence that it's environmental and wider responsibilities as a corporate citizen are being taken seriously and continue to improve. A Long-Standing Relationship Helping Northport be a Responsible Corporate Citizen. The Fulton Hogan-John Holland joint venture engaged 4Sight in early 2012 to act as contaminated land specialists for the installation of the Hunua 4 water main pipeline. In May 2013, our role was broadened to include acting as the Environmental & Compliance Manager for section 2 of the pipeline. Providing advice and direction on any encountered contaminations. Effective collaboration between the project's different stakeholders is critical to its success. 4Sight is working closely with the joint venture to facilitate a collaborative environment where all parties' interests are fairly represented. Due to the installation's nature, a wide range of environmental issues have been – and will be – encountered. As a result, 4Sight has had to provide specialist advice on multiple issues encompassing several different disciplines. Our work so far has included regular field inspections, comprehensive data assessment, liaising with Auckland Council and coaching the client's onsite employees. So far we've helped the client to fully comply with regional authorities, and have helped them strike the right balance between environmental concerns and cost-effectiveness. The Fulton Hogan-John Holland joint venture engaged 4Sight in early 2012 to act as contaminated land specialists for the installation of the Hunua 4 water main pipeline. 4Sight is currently working alongside Worley Parson engineers to deliver a range of port projects, including redeveloped cargo yard and wharf facilities, and continued maintenance dredging and offshore disposal for Eastland Port Ltd. Working alongside various specialist such as acoustic engineers and archaeologists. Our role was recently extended, and 4Sight are now responsible for managing Eastland Port's resource consent compliance programme. We are also currently preparing a Port Environmental Management Plan which covers port and related inland cargo. Eastland Port recently lodged coastal permit applications for continued maintenance dredging and offshore disposal. 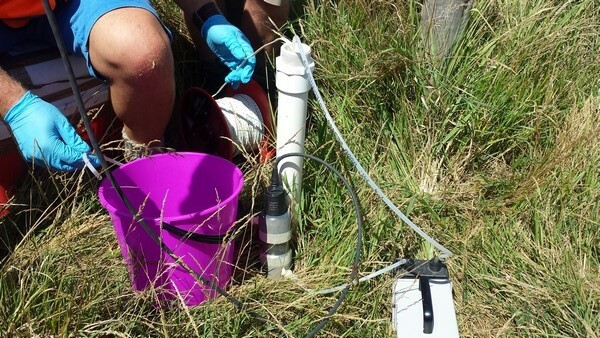 As a result, we were required to review the Port of Gisborne's historical dredging and water quality data. The aim of doing so was to assess the the port's significance as a settlement area for juvenile crayfish, which some stakeholders see as an important issue. By joining forces with our engineering partner, Worley Parson, 4Sight have been able to give the client a service offering which encompasses planning, environmental and engineering services – all of which are in relation to the development and maintenance of the port. As a result successful stakeholder consultation, the consent for continued maintenance dredging has been lodged on a limited notified basis. The port has also established a company-wide compliance management system – with clearly allocated responsibilities – thanks to 4Sight's ongoing compliance support. 4Sight has been Eastland Port's trusted planning and environmental consultancy for a number of years, and has worked on a number of coastal development projects that straddle the land-coastal marine area interface, particularly in terms of new or extended infrastructure. The experience we've gained from working on projects involving ports, marinas, walkways and wharves has given us significant insight into the inner-workings of local government, and in particular how to navigate their clients through complex RMA and related environmental matters. Thanks to our experience working on a wide range of coastal projects, 4Sight's staff members have a deep understanding of the type of consents required and how to obtain them in a short period of time. A significant advantage of working with 4Sight is our ability to combine this knowledge with our own technical expertise in marine ecology, water quality management and contaminated land remediation. 4Sight is currently working alongside Worley Parson engineers to deliver a range of port projects, including redeveloped cargo yard and wharf facilities, and continued maintenance dredging and offshore disposal for Eastland Port.